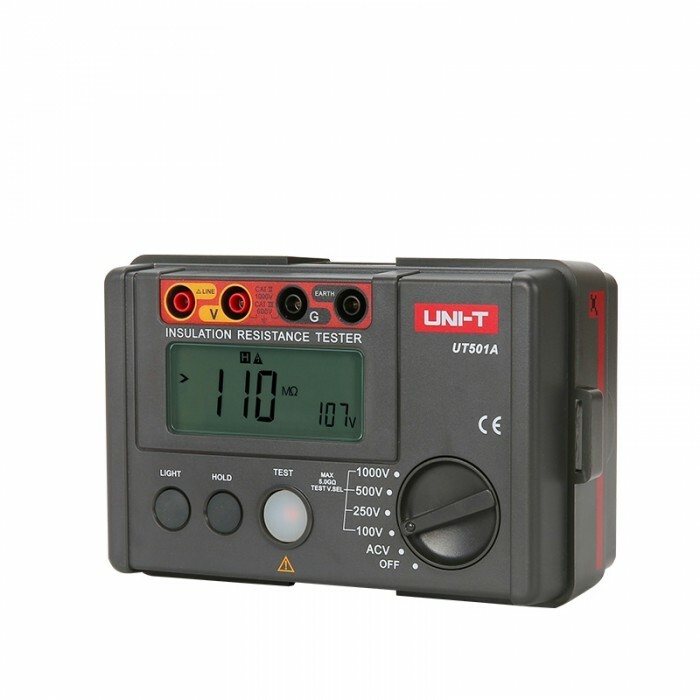 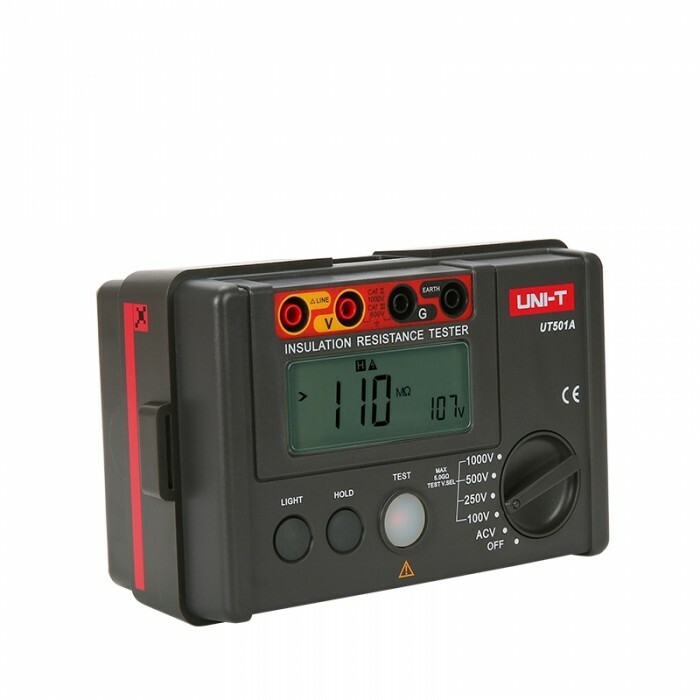 UNI-T’s UT501A is a 2000-count auto range digital insulation resistance tester with low resistance test, high voltage and low battery indication. 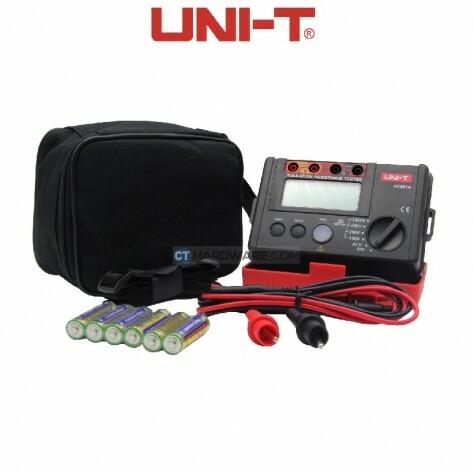 UT500 series adopts latest design and very large-scale integration and digital circuits, combined with measurement functions of insulation resistance, DC voltage, AC voltage. 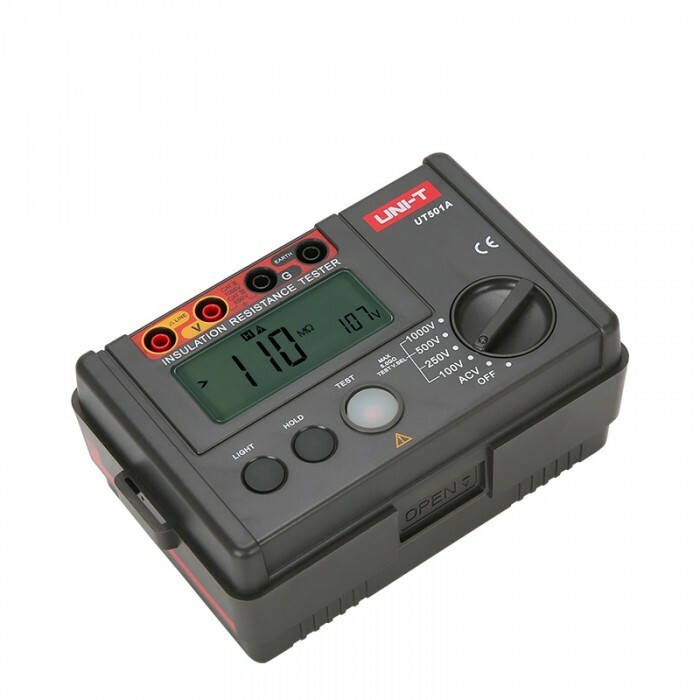 It has advantages such as high precision, stable performance, and simple operation. 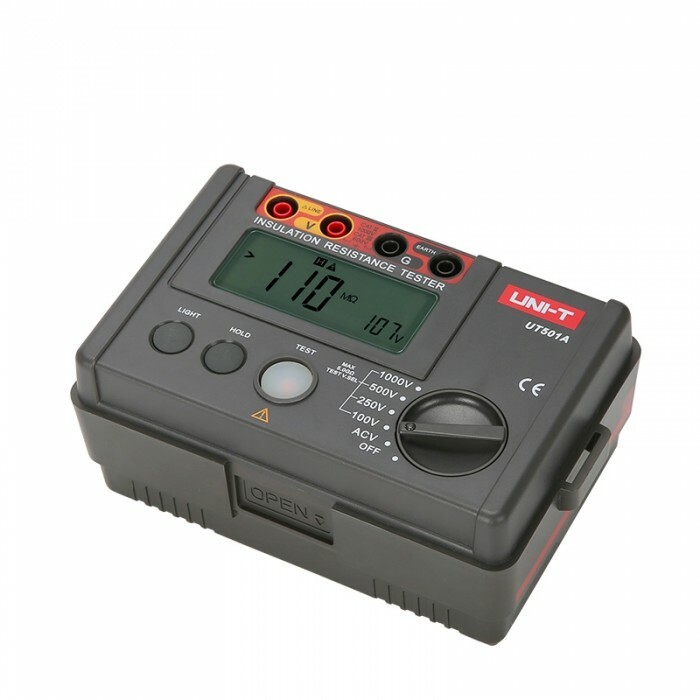 It is used for insulation resistance measurement of various electrical equipment and insulation materials, such as transformers, motors, cables, switches, electrical appliances.